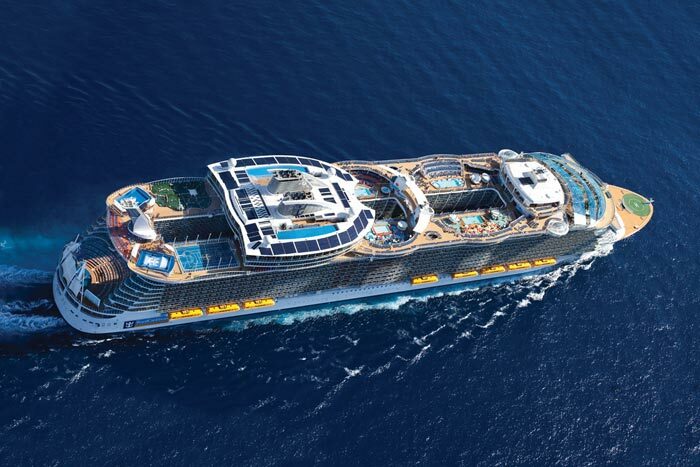 Royal Caribbean have announced that its largest cruise ship Allure of the Seas is to sail from Barcelona all summer in 2015! It was not that long ago when rival cruise line NCL also announced that its biggest cruise ship will be sailing from the popular European port also. Barcelona now seems to be becoming the main hub for cruise line operations in Europe and the Mediterranean. Allure of the Seas will be sailing a summer season around the Mediterranean and is set to offer guests the perfect cruise on the worlds largest cruise ship along with breathtaking destinations. The 225,282 ton ship will be doing 7-night cruises from Barcelona starting from May 24th 2015. Allure is to call at Palma De Mallorca, Spain; Provence (Marseilles), France; and Florence/Pisa (La Spezia), Rome (Civitavecchia), and Naples/Capri in Italy. Cruisers are also able to choose a 7-night cruise starting from Civitavecchia, Italy which is another cruise ship hub for Mediterranean cruises. People will be able to start booking from February 18th 2014 along with bookings for Splendour of the Seas and Rhapsody of the Seas which are also going to be sailing in the Mediterranean in 2015.